Week 7 of the college football season got off to an interesting start, to say the least. No. 23 South Florida went on the road for the second time in less than two weeks to Tulsa and needed a major fourth-quarter rally to squeak past the Golden Hurricane. 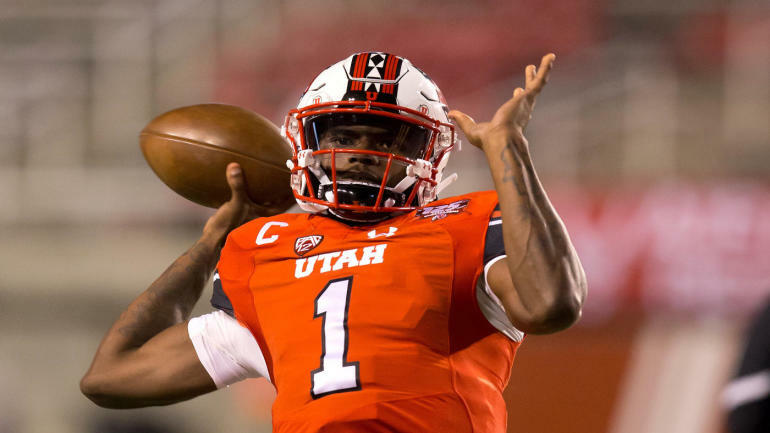 In the Mountain West, San Diego State literally weathered the storm against Air Force, and in the Pac-12, Utah had a simple night against Arizona, which was without quarterback Khalil Tate. CBS Sports is here to give you all the updates with the latest scores, results, highlights, analysis and more from our Week 7 appetizer. While Arizona fought back from a rough start to the Kevin Sumlin era, Friday night ended up being a rough night for the Wildcats against Utah, which came away with an easy 42-10 win. To make matters worse, quarterback Khalil Tates exited the game late in the first quarter due to his lingering ankle injury. Rhett Rodriguez ended up taking over the offense, but it was too late to do much good. The Utes rolled without much of a challenge. San Diego State was coming off of a huge win on the road at Boise State, but it needed to dig deep again in another tight game against Air Force. San Diego State needed a late fourth-quarter touchdown to win 21-17 in a game delayed for an hour by inclement weather. However, the highlight of the night was this blocked punt returned for a touchdown in the final seconds of the second quarter. Two games in less than two weeks, both on the road, can be a difficult stretch for any team. Certainly, South Florida knows what that's like. But the Bulls will take a win any way they can get them. That includes coming from behind 24-10 to edge Tulsa 25-24. USF had an extra point blocked and failed to convert a two-point try, but nailed a 22-yard field goal with two seconds left to get the win. It marked a 15-0 run in the final half of the fourth quarter to remain undefeated. It was a poor showing by the Bulls overall, but that was a first-class meltdown by the Golden Hurricane to blow their double-digit lead. That's going to leave a mark. The alternate uni game is always a fun part of college football, and Tulsa dropped some sweet new threads and lids for its Friday night game against South Florida. Black is pretty much everyone's third color, it seems, but the logo looks good on the helmet. And, obviously, the players love them. That's really who this is for, anyway.